A fully adjustable kids’ full body harness that offers maximum safety and comfort for younger children. The Rookie FB is an adjustable kids’ full body harness designed to offer maximum safety and comfort for younger children. The comfortable padded webbing panels of the chest harness and leg loops maintain the shape – making it easier to put on and take off. For extra safety, the tie-in loops are in bright, contrasting colours to make visual checking easier. With 90SafX buckles for easy adjustment, maximum safety and full adjustability for growing children. 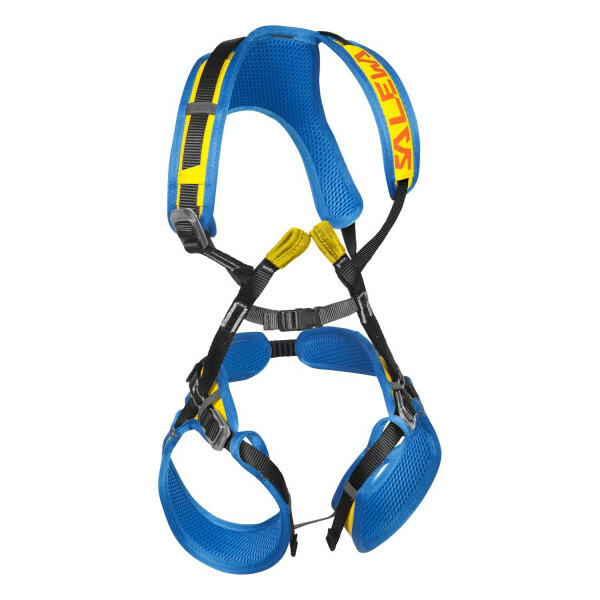 In addition, the padding design and elasticated inserts allow the harness to literally grow with your kids.